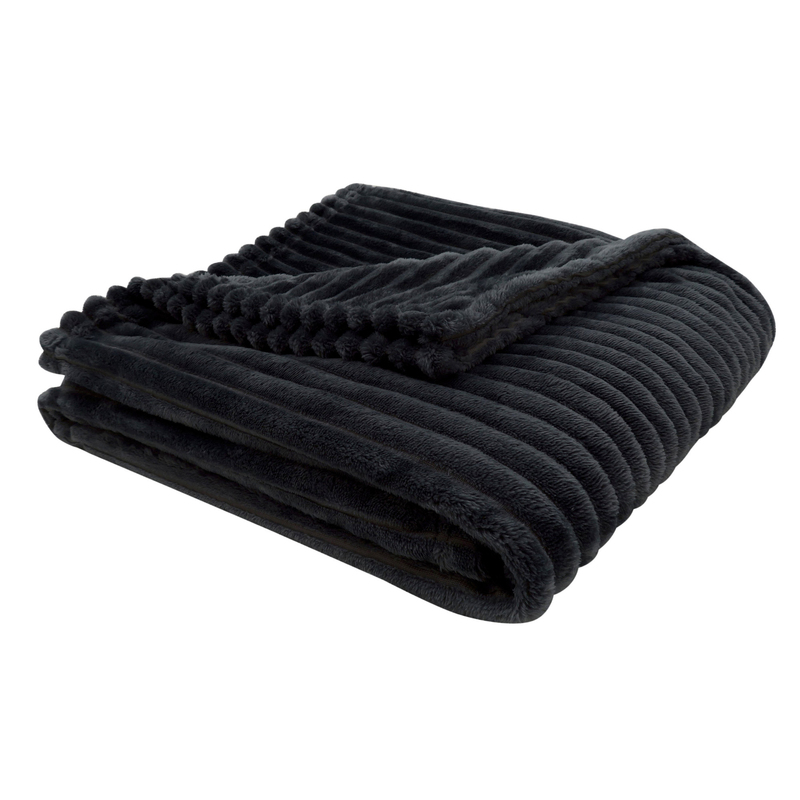 Get cozy with this ultra soft faux fur throw designed in a classic ribbed style on both sides. The warm beige color gives a casual luxurious touch to your decor whether you throw it over your bed ready to grab for an afternoon nap or curled up on the couch with a good book or movie night. Made from an easy care polyester material that is machine washable, making it perfect as a light layer of warmth and fashionable decorative accent throw for any room in your home. 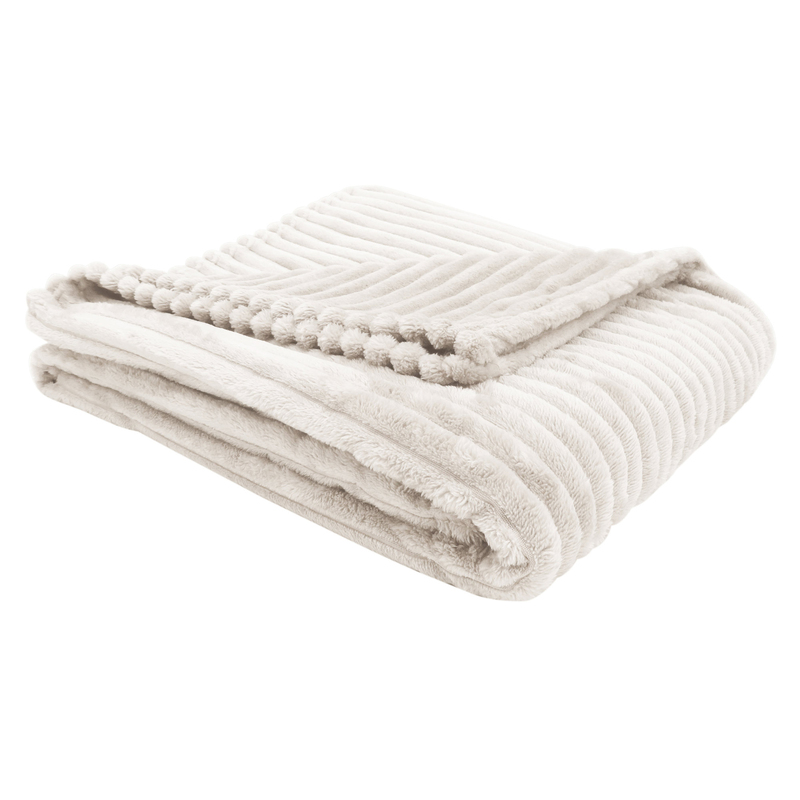 Get cozy with this ultra soft faux fur throw designed in a classic ribbed style on both sides. The warm ivory color gives a casual luxurious touch to your decor whether you throw it over your bed ready to grab for an afternoon nap or curled up on the couch with a good book or movie night. Made from an easy care polyester material that is machine washable, making it perfect as a light layer of warmth and fashionable decorative accent throw for any room in your home. 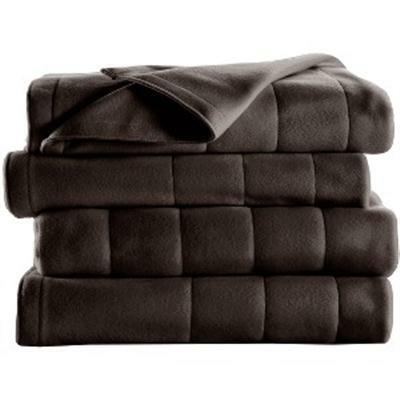 Get cozy with this ultra soft faux fur throw designed in a classic ribbed style on both sides. The chic grey color gives a casual luxurious touch to your decor whether you throw it over your bed ready to grab for an afternoon nap or curled up on the couch with a good book or movie night. Made from an easy care polyester material that is machine washable, making it perfect as a light layer of warmth and fashionable decorative accent throw for any room in your home. 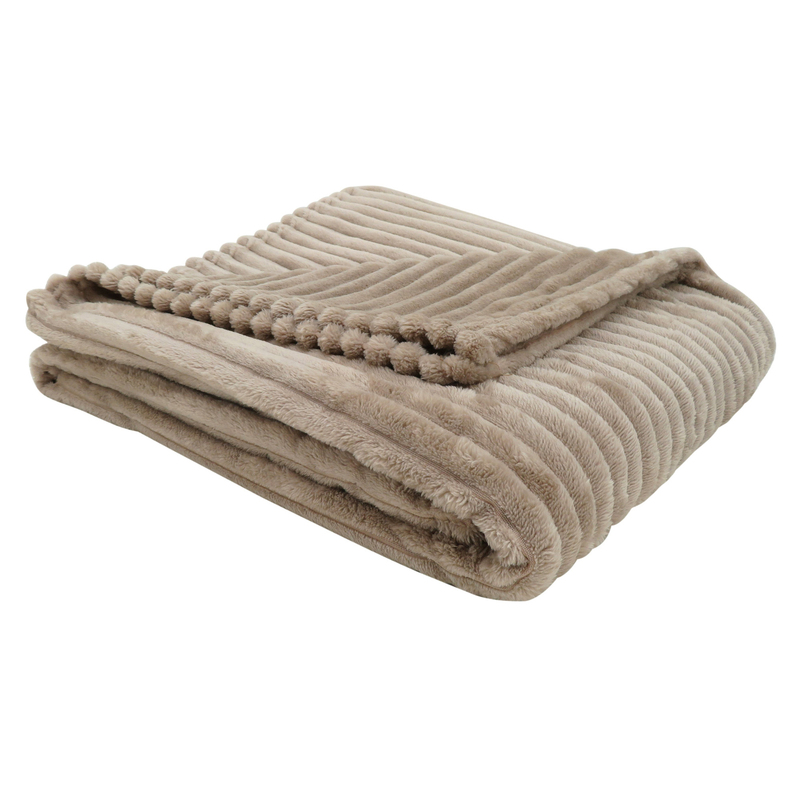 Get cozy with this ultra soft faux fur throw designed in a classic ribbed style on both sides. 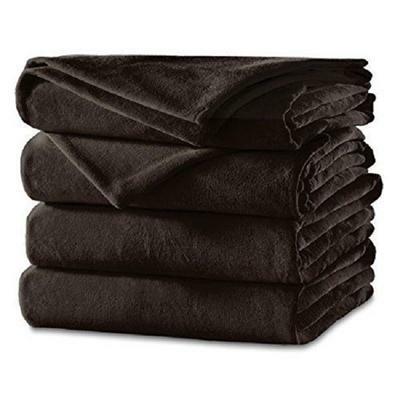 The chic black color gives a casual luxurious touch to your decor whether you throw it over your bed ready to grab for an afternoon nap or curled up on the couch with a good book or movie night. Made from an easy care polyester material that is machine washable, making it perfect as a light layer of warmth and fashionable decorative accent throw for any room in your home. 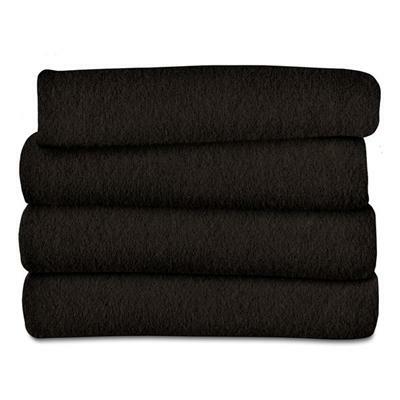 Get cozy with this ultra soft faux fur throw designed in a classic ribbed style on both sides. The chic blue color gives a casual luxurious touch to your decor whether you throw it over your bed ready to grab for an afternoon nap or curled up on the couch with a good book or movie night. Made from an easy care polyester material that is machine washable, making it perfect as a light layer of warmth and fashionable decorative accent throw for any room in your home. 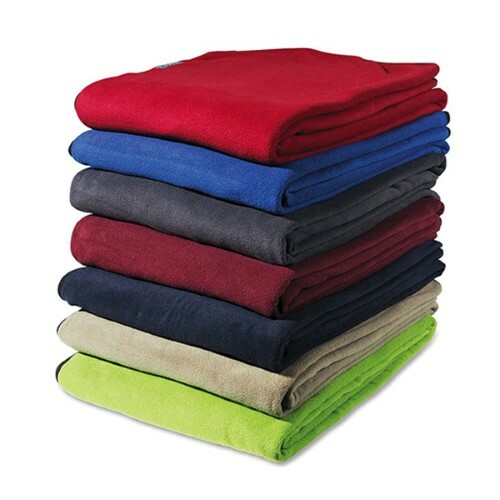 Get the chill out with the Sunbeam Fleece Heated Throw for warm cozy comfort. Curl up and relax in head-to-toe toastiness when you need added warmth. 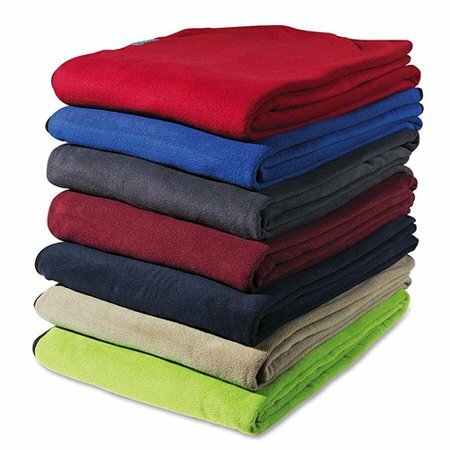 For ultimate cozy comfort on the couch or recliner this extra-soft heated fleece throw provides added warmth when you need to shake off those winter chills fast. 3 heat settings with 3-hour auto-off feature Full 50" X 60" size 180 GSM per side (360 total) Machine washable & dryer safe Walnut This item cannot be shipped to APO/FPO addresses. Please accept our apologies. Cozy up to extra warmth with the Sunbeam Channeled Microplush Heated Blanket so you can sleep warm and comfortably during colder winter months. This ultra-soft miroplush blanket gently wraps you in warmth with Sunbeam's patented ThermoFine technology to auto-adjust for consistant heat control and distribution. Plus the digital controller offers a pre-heat setting to warm up cold sheets so you can slip into toasty comfort at bedtime. Designed to fit Twin-size beds 10 heat settings with 10-hour auto-off feature LCD display with backlight 100% polyester with180 GSM per side (360 total) Channeled construction with hem finish Machine washable and dryer safe Mushroom This item cannot be shipped to APO/FPO addresses. Please accept our apologies. Cozy up to extra warmth with the Sunbeam Quilted Fleece Heated Blanket so you can sleep warm and comfortably during colder winter months. This extra-soft quilted fleece blanket gently wraps you in warmth with Sunbeam's patented ThermoFine technology to auto-adjust for consistant heat control and distribution. Allows you to get the warmth you need while resting comfortably. Designed to fit Full-sized beds. 100% polyester with160 GSM per side (320 total) Channeled construction with hem finish 10 heat settings with 10-hour auto-off feature Machine washable and dryer safe Newport Blue This item cannot be shipped to APO/FPO addresses. Please accept our apologies. A perfect day at the beach? It's in the bag. Sol Coastal's Beachcomber's Blanket gives you the best of a beach blanket and beach bag all at once. Pack up your handy tote with the necessities: sunscreen, sunglasses, a cool bottle of water, and when you reach the beach, transform your tote in seconds into a 79" by 59" waterproof beach blanket! We're not bragging, but this is probably the pinnacle of beach tech. Why You'll Love It: The surface of our Beachcomber's Blanket is woven using oxford cloth. It's comfy, durable, and mildew-resistant. The backing is a waterproof polymer that keeps you dry all day. And it's not just great for the beach. Take it to picnics in the park, outdoor concerts, even camping. Folded up, it has a slim 11" x 8" profile, and weighs a scant 2 pounds. Cozy up to extra warmth with the Sunbeam Velvet Plush Heated Blanket so you can sleep warm and comfortably during colder winter months. This premium-soft velvety plush blanket gently wraps you in warmth with Sunbeam's patented ThermoFine technology to auto-adjust for consistant heat control and distribution. Plus the digital controller offers a pre-heat setting to warm up cold sheets so you can slip into toasty comfort at bedtime. Deisnged to fit Queen-size beds. 10 hear settings with 10 hour auto-off feature. 100% polyester with 200 GSM per side. Channeled construction with hem finish. Machine Washable and Dryer safe. Queen Size Walnut color This item cannot be shipped to APO/FPO addresses. Please accept our apologies. Cozy up to extra warmth with the Sunbeam Velvet Plush Heated Blanket so you can sleep warm and comfortably during colder winter months. This premium-soft velvety plush blanket gently wraps you in warmth with Sunbeam's patented ThermoFine technology to auto-adjust for consistant heat control and distribution. Plus the digital controller offers a pre-heat setting to warm up cold sheets so you can slip into toasty comfort at bedtime. King size Walnut color This item cannot be shipped to APO/FPO addresses. Please accept our apologies. Cozy up to extra warmth with the Sunbeam Channeled Microplush Heated Blanket so you can sleep warm and comfortably during colder winter months. This ultra-soft miroplush blanket gently wraps you in warmth with Sunbeam's patented ThermoFine technology to auto-adjust for consistant heat control and distribution. Plus the digital controller offers a pre-heat setting to warm up cold sheets so you can slip into toasty comfort at bedtime. Designed to fit Twin-size beds 10 heat settings with 10-hour auto-off feature LCD display with backlight 100% polyester with180 GSM per side (360 total) Channeled construction with hem finish Machine washable and dryer safe Slate This item cannot be shipped to APO/FPO addresses. Please accept our apologies. Cozy up to extra warmth with the Sunbeam Quilted Fleece Heated Blanket so you can sleep warm and comfortably during colder winter months. This extra-soft quilted fleece blanket gently wraps you in warmth with Sunbeam's patented ThermoFine technology to auto-adjust for consistant heat control and distribution. Allows you to get the warmth you need while resting comfortably. Designed to fit King-sized beds. 100% polyester with160 GSM per side (320 total) Channeled construction with hem finish 10 heat settings with 10-hour auto-off feature Machine washable and dryer safe Garnet This item cannot be shipped to APO/FPO addresses. Please accept our apologies. Cozy up to extra warmth with the Sunbeam Quilted Fleece Heated Blanket so you can sleep warm and comfortably during colder winter months. This extra-soft quilted fleece blanket gently wraps you in warmth with Sunbeam's patented ThermoFine technology to auto-adjust for consistant heat control and distribution. Allows you to get the warmth you need while resting comfortably. Designed to fit Full-sized beds. 100% polyester with160 GSM per side (320 total) Channeled construction with hem finish 10 heat settings with 10-hour auto-off feature Machine washable and dryer safe Garnet This item cannot be shipped to APO/FPO addresses. Please accept our apologies. The Sunbeam Quilted Heated Twin Mattress Pad features an exclusive wiring system that senses temperature variances and adjusts throughout the blanket to allow for highest peace of mind and a sound restful night of sleep. The extra-soft 100% polyester construction includes a non-woven top and a skirt that fits up to 16" mattresses. The Easy-Set Pro controller comes with 10 heat settings and a 10-hour auto shut-off function. 12' cord. 180 Watts. White. This item cannot be shipped to APO/FPO addresses. Please accept our apologies. 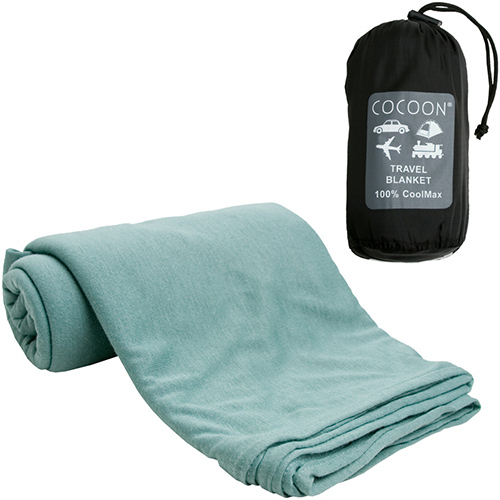 Sol Coastal's Beachcomber's Blanket XL gives you the best of a beach blanket and beach bag all at once. Pack up your extra-high-capacity tote with the necessities: towels, coverups, shoes and sandals, drinks, food, and more! The world is your oyster when you can carry this much. When you reach the beach, transform your tote in seconds into a 56" by 38" waterproof beach blanket! We're not bragging, but this is probably the pinnacle of beach tech. Why You'll Love It: The surface of our Beachcomber's Blanket is woven with sleek cloth. It's comfy, durable, and mildew-resistant. The backing is a waterproof polymer that keeps you dry all day. And it's not just great for the beach. Take it to picnics in the park, outdoor concerts, even camping. Folded up, it has a slim 17" x 10" x 1" profile, and weighs a just over a pound. Cozy up to extra warmth with the Sunbeam Quilted Fleece Heated Blanket so you can sleep warm and comfortably during colder winter months. This extra-soft quilted fleece blanket gently wraps you in warmth with Sunbeam's patented ThermoFine technology to auto-adjust for consistant heat control and distribution. Allows you to get the warmth you need while resting comfortably. Designed to fit Queen-sized beds. 100% polyester with160 GSM per side (320 total) Channeled construction with hem finish 10 heat settings with 10-hour auto-off feature Machine washable and dryer safe Newport Blue This item cannot be shipped to APO/FPO addresses. Please accept our apologies. Say goodbye to cold feet! With the Sunbeam Comfy Toes Heated Mattress Pad (Queen/King) cold feet are a thing of the past. This mattress pad features an exclusive wiring system that senses temperature variances and adjusts accordingly throughout the pad to allonw for higher peace of mind and a sound restful night of sleep. Constructed of 100% polyester non-woven fabric the Comfy Toes fits on the bottom third of the bed to warm cold feet at bedtime and the extra-soft finish truly enhances the sleep experience. The PrimeStyle controller allows 3 separate heat settings for your individual comfort. Incomparable Sunbeam technology.................perfected over the past 100 years! 12' Cord. 220 Watts. White. This item cannot be shipped to APO/FPO addresses. Please accept our apologies. Say goodbye to cold feet! 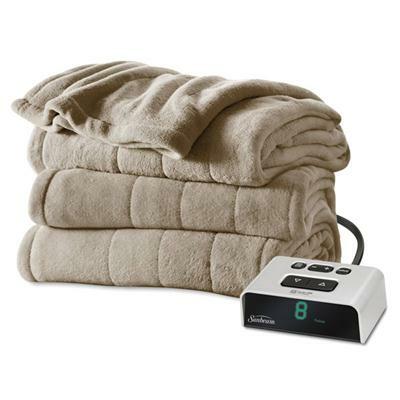 With the Sunbeam Comfy Toes Heated Mattress Pad (Twin/Full) cold feet are a thing of the past. 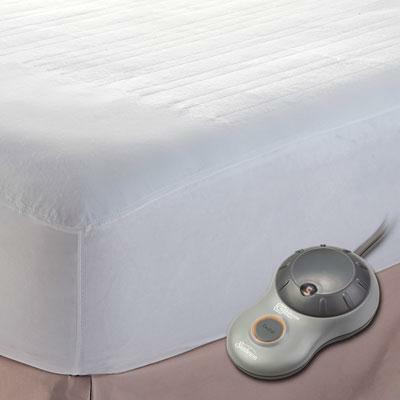 This mattress pad features an exclusive wiring system that senses temperature variances and adjusts accordingly throughout the pad to allow for higher peace of mind and a sound restful night of sleep. Constructed of 100% polyester non-woven fabric the Comfy Toes fits on the bottom third of the bed to warm cold feet at bedtime and the extra-soft finish truly enhances the sleep experience! The PrimeStyle XL controller allows 3 separate heat settings for your individual comfort. Incomparable Sunbeam technology....................perfected over the past 100 years! 12' Cord. 135 Watts. White. This item cannot be shipped to APO/FPO addresses. Please accept our apologies. The Sunbeam ChillAway Heated Wrap is our most versatile throw yet! The ChillAway can be used as a traditional throw or a warming shawl. 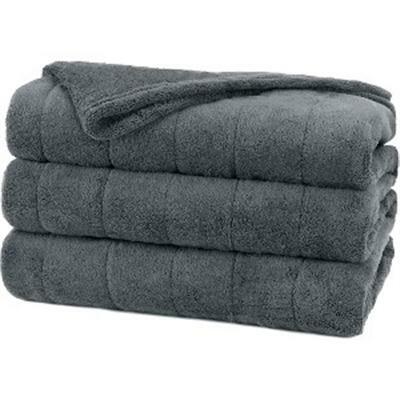 Wrap your self in the silky softness of the ChillAway and enjoy the soft pockets to warm up cold hands. Ideal for warming up at the office or on the couch! 180 GSM per side (360 total) Extra soft fleece 100% polyester 3 heat settings with 3-hour auto-off feature Sand This item cannot be shipped to APO/FPO addresses. Please accept our apologies. 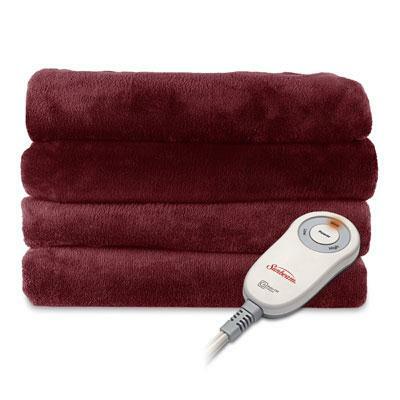 Sunbeam Microplush Heated Throw Garnet This item cannot be shipped to APO/FPO addresses. Please accept our apologies. 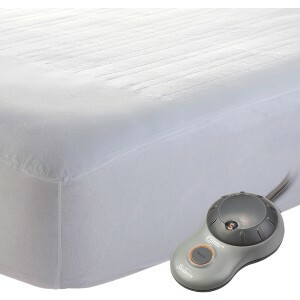 The Sunbeam Quilted Heated King Mattress Pad features an exclusive wiring system that senses temperature variances and adjusts throughout the blanket to allow for the highest peace of mind and a restful sound night of sleep. The extra-soft 100% polyester construction includes a non-woven top and a skirt that fits up to 16" mattresses. The East-Set Pro controller comes with 10 heat settings and a 10-hour auto off function. 12' cord. 360 Watts. White. This item cannot be shipped to APO/FPO addresses. Please accept our apologies. The Sunbeam Quilted Heated Queen Mattress Pad features an exclusive wiring system that senses temperature variances and adjusts throughout the blanket to allow for highest peace of mind and a sound restful night of sleep. The extra-soft 100% polyester contruction includes a non-woven top and a skirt that fits up to 16" mattresses. The Easy-Set Pro controller comes with 10 heat settings and a 10-hour auto shut-off function. 12' cord. 270 Watts. White. This item cannot be shipped to APO/FPO addresses. Please accept our apologies. Cozy up to extra warmth with the Sunbeam Quilted Fleece Heated Blanket so you can sleep warm and comfortably during colder winter months. This extra-soft quilted fleece blanket gently wraps you in warmth with Sunbeam's patented ThermoFine technology to auto-adjust for consistant heat control and distribution. Allows you to get the warmth you need while resting comfortably. Designed to fit twin-sized beds. 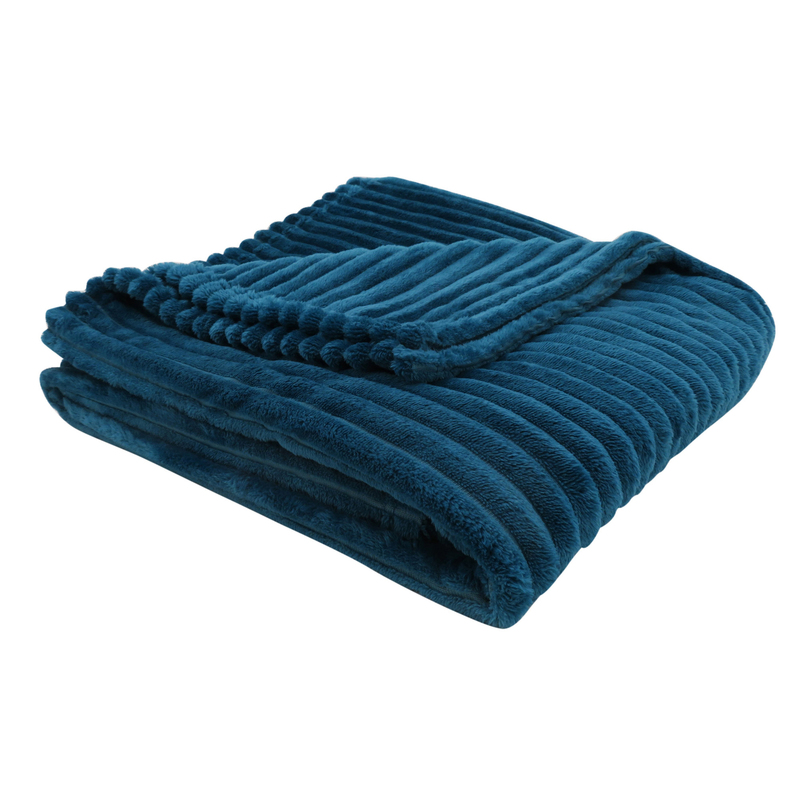 100% polyester with160 GSM per side (320 total) Channeled construction with hem finish 10 heat settings with 10-hour auto-off feature Machine washable and dryer safe Newport Blue This item cannot be shipped to APO/FPO addresses. Please accept our apologies. Cozy up to extra warmth with the Sunbeam Channeled Microplush Heated Blanket so you can sleep warm and comfortably during colder winter months. This ultra-soft miroplush blanket gently wraps you in warmth with Sunbeam's patented ThermoFine technology to auto-adjust for consistant heat control and distribution. Plus the digital controller offers a pre-heat setting to warm up cold sheets so you can slip into toasty comfort at bedtime. Designed to fit Full-size beds 10 heat settings with 10-hour auto-off feature LCD display with backlight 100% polyester with180 GSM per side (360 total) Channeled construction with hem finish Machine washable and dryer safe Mushroom This item cannot be shipped to APO/FPO addresses. Please accept our apologies. Cozy up to extra warmth with the Sunbeam Channeled Microplush Heated Blanket so you can sleep warm and comfortably during colder winter months. This ultra-soft miroplush blanket gently wraps you in warmth with Sunbeam's patented ThermoFine technology to auto-adjust for consistant heat control and distribution. Plus the digital controller offers a pre-heat setting to warm up cold sheets so you can slip into toasty comfort at bedtime. Designed to fit Full-size beds 10 heat settings with 10-hour auto-off feature LCD display with backlight 100% polyester with180 GSM per side (360 total) Channeled construction with hem finish Machine washable and dryer safe Slate This item cannot be shipped to APO/FPO addresses. Please accept our apologies.